Warwickshire Cricket Board (WCB) and Warwickshire County Cricket Club have launched a new 100-ball format tournament for the recreational game in 2019 that’s designed to revitalise Sunday cricket at clubs across the region. 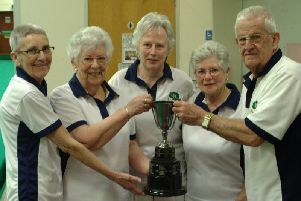 Called the Warwickshire Sunday Smash, the new competition aims to give each club eight games in one of four regional divisions in June and July, with the top teams progressing to a Finals Day. All games will start at 2pm to give clubs an opportunity to remain open throughout the day, following the morning’s programme of youth cricket. Andy Wyles, Growth & Participation Manager at WCB, said: “The primary aim of this new tournament is to encourage cricketers who previously played regular, league cricket back into the game through a shorter format. “We’ve noticed in recent years that some clubs have experienced a large drop in player availability for the all-day league format, due to family, work and other reasons. However, a game played in two hours and 15 minutes, with reduced travel time presents a more compelling option, not just for the players but for their families and other potential spectators. The Warwickshire Sunday Smash will be played with a white ball in coloured clothing and there are no league fees for any club that enters. Club can now register their interest in the Warwickshire Sunday Smash by emailing chriskenny@edgbaston.com ahead of the consultation meeting in early 2019.